A recent job and transfer fair at Niagara County Community College was bustling with activity. One graduate exploring the fair was Brenda Gizzarella, a single mother of four, who graduated from Niagara County Community College in 2016 and received her bachelor’s degree in criminal justice from Niagara University in August. “I know what I want to do, but with all of these different options It gives me a bigger idea of what’s out here,” said Gizzarella. She said she made it through college because of the Mapping Opportunities for Single Parents program. She has a 23-year-old daughter, and three boys ages 18, 14 and 8. It was her oldest daughter, who was starting college at NCCC, who encouraged her. “I said I can’t go back to school. I’m too old. You have that type of …. I’ll be the old lady walking the halls,” said Gizzarella. The Western New York Women’s Foundation started the program for single mothers in 2013 and in that time more than 100 parents have graduated. Success Coach Kelly Boswell says he helps moms navigate through a variety of obstacles, from time management to daycare to curriculum planning. Boswell said life coach is also a part of her job description. “One of the things a lot of women face is mom guilt – the guilt about going back to school and not having as much time with their kids, but you really are setting an example for your kids and they remember it,” said Boswell. Director of Student Development Alison Armusewicz said the program’s focus has widened to include single fathers. The college has also begun using this successful model to coach all first-year students. “All students who come in to NCCC are assigned a first -year experience coach. What that first-year experience coach does is guide them through a series of milestones that will help them be successful and ultimately empower them,” she said. Director of Grants for NCCC Brian Michel said they have gone after the money to provide these programs, but it’s ultimately the students who have to ask for help. Gizzarella said the day she walked into the college she saw a sign about "Mapping Opportunities for Single Parents" and knew that they were describing her. She said that today she has completed a successful internship in probation and would like to pursue a career as a probation officer – something she could not have done without a four-year degree. Her daughter who came to college with her that first day has graduated and plans to attend the police academy. Gizarella said she never dreamed that as a single mom in her 40s that she could succeed in graduating from college. “It didn’t hit me until I was in the cap and gown and then I said, ‘Holy crap’ this is a thing. I guess I can do this,” she said. 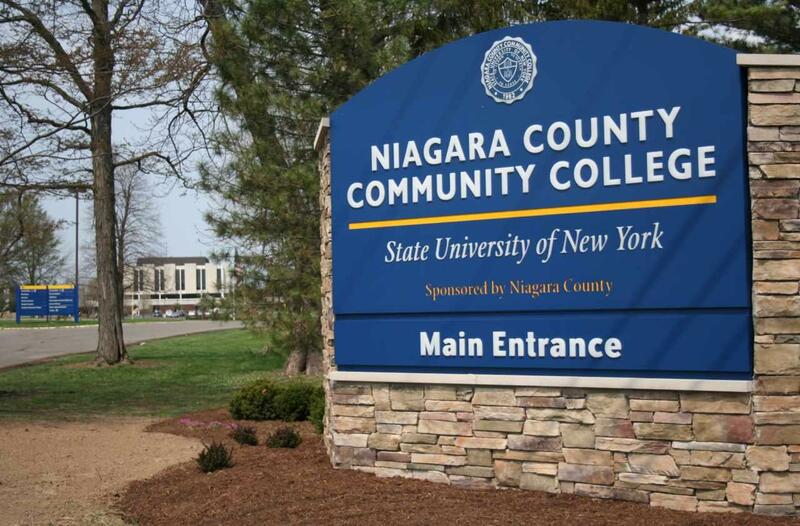 Mapping Opportunities for Single Parents is available on the Niagara County Community College website http://www.niagaracc.suny.edu/moms/. A similar program, also funded by the Western New York Women’s Foundation, was started at Erie Community College (SUNY Erie) in 2017. Several African-American women will be appearing Friday evening in a special performance on stage at the University at Buffalo's Lippes Concert Hall on the north campus in Amherst. WBFO's senior reporter Eileen Buckley talked with the author and producer Latricia Davis who created this original play called "This Is My Story". WBFO's senior reporter Eileen Buckley talked with the author and producer Latricia Davis who created this original play called "This Is My Story". It’s been a long journey for Pausa Art House co-owner Lazara Martinez who grew up in Cuba before coming to America. Now, her live music venue has become a hot spot for touring musicians. This weekend, Grammy nominated jazz artist Jane Bunnett will be performing with her all-women Cuban group Maqueque.